The S3F and S4F/R have patents pending. 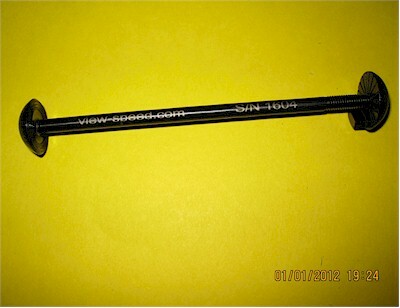 S3F Skewer is made of high strength grade 5 titanium, tested to destruction by Element Materials Technology, formerly named Stork Materials Technology. S3F required 3,552 pounds of force to fracture and15 Newton-meters of torque to thread failure. Each skewer has a clock line laser etched on the drive side for easy preflight check that it is secure. 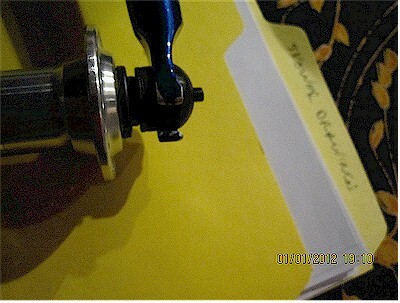 When installed additionally secured with some Loc-Tite Quicktape 249 Threadlocker Tape. The Skewer-Speed S3F ships with a piece of Loc-Tite Quicktape 249. The View-Speed Skewers do not use centering springs. S3F has considerably less frontal area than standard skewers with a very aerodynamic shape and light weight. 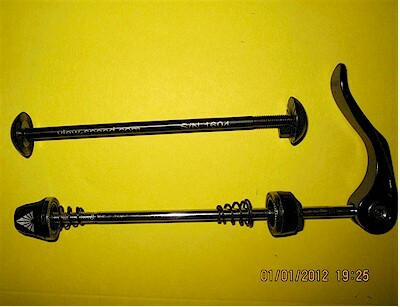 Skewer-Speed S3F (21 grams) comparison with quick release (57grams). Skewer-Speed S3F aerodynamic shape compared to quick release skewer non aerodynamic shape. Close up of keyed fastener. 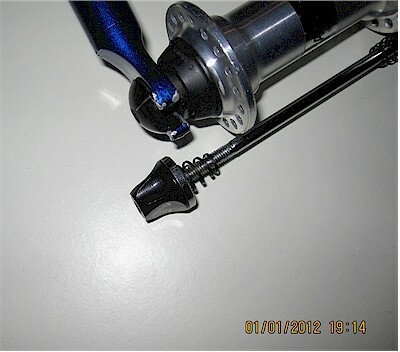 Low profile frontal area of Skewer-Speed S3F mounted on bicycle front fork. Comparison of Skewer-Speed S3F and Quick Release. 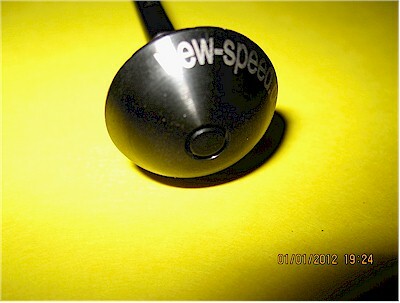 Close up of Skewer-Speed S3F and Quick Release. 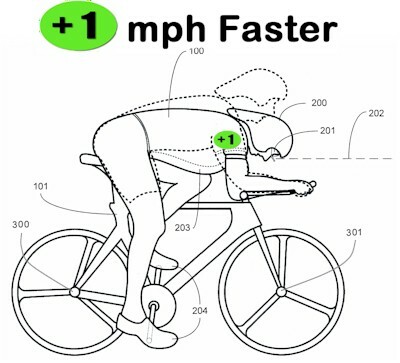 Note the radius clock line on the Skewer-Speed S3F for a quick rotational position check pre-ride. 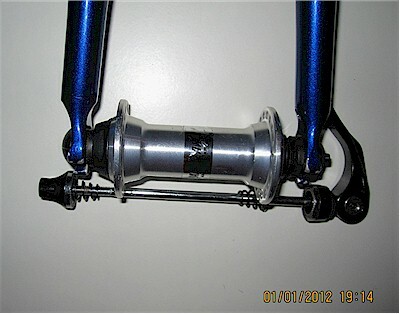 Close up of Skewer-Speed S3F mounted on front fork – note very low frontal area.